Archbishop Antonio Mennini, Apostolic Nuncio to Great Britain, has paid tribute to the Ordinariate of Our Lady of Walsingham and its Ordinary, Monsignor Keith Newton, who he said was working “without confrontation and in a spirit of peace and love” to implement the Holy Father’s vision of Christian unity. The Archbishop was speaking at a reception at the Apostolic Nunciature in Wimbledon for some forty guests, including Catholic writers, academics and lawyers, organised to raise funds for the Ordinariate – the structure set up two years ago to allow Anglicans the chance to enter into full Communion with the Catholic Church while maintaining much of their heritage. The Archbishop said many former Anglicans had made great sacrifices in order to take the step to enter into the full communion with the Catholic Church, but in doing so, they had demonstrated to the world what the Ordinariate had to offer and the great wisdom of the Holy Father’s move in setting it up. 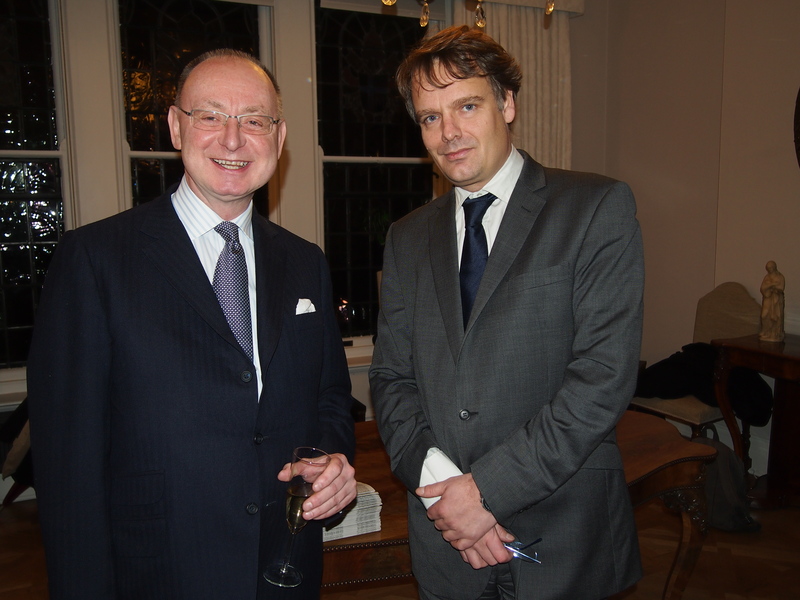 The reception– which raised £10,000 – was organised by the Friends of the Ordinariate charity, which was set up to support and raise awareness of the Ordinariate. Monsignor Newton also addressed the gathering, speaking of the Ordinariate’s mission to undo the tragedies of the sixteenth century and work with the rest of the Catholic Church to convert the country to the faith. He said that building up the Ordinariate would take time, but he was confident that, over the years, many people would be brought by the Ordinariate to see the truth of the Catholic Church. The publication of the Apostolic Constitution in 2009, he said, had, in some respects, “called people’s bluff” because for many Anglicans it was one thing having a desire for unity, but quite another to see the vision when it was offered and to take the leap. For this reason the Ordinariate was in for the long haul; “it’s a marathon, not a sprint”, Mgr Newton said . Turning to the challenges the Ordinariate faced, Mgr Newton spoke of a lack of awareness and misunderstanding on the part of many Catholics about what the Ordinariate was and of the need to communicate its message clearly. Financial concerns also loomed large. Mgr Newton said the Ordinariate had started with very little and, despite generous help from the Bishops of England and Wales, its resources were very limited. Among other commitments, it was faced with the need to provide training for its priests, provision for sick and retired clergy and in many cases housing and living costs for priests. 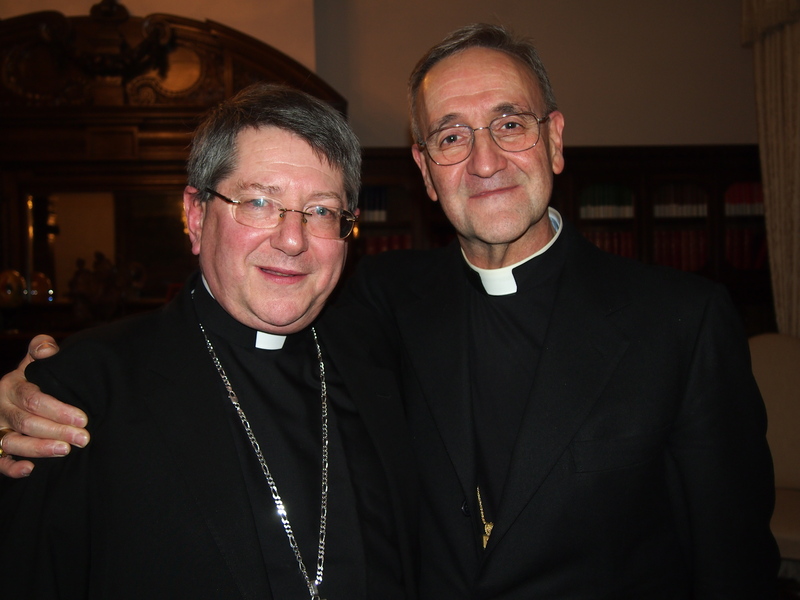 The chairman of the Friends, Peter Sefton-Williams, said: “We are deeply grateful to Archbishop Mennini for inviting us to the Nunciature and for showing such tremendous support for the Ordinariate. It gives us real encouragement in our mission to ensure that this wonderful vision of Christian unity flourishes in accordance with the Holy Father’s wishes”.